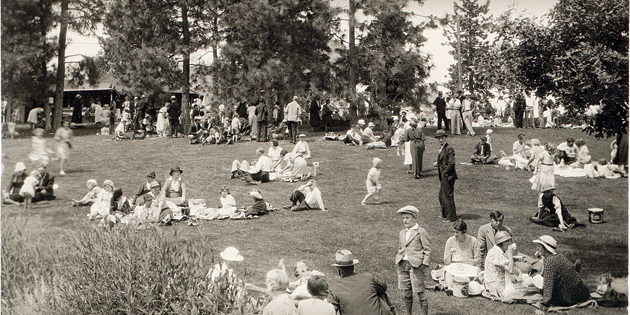 They’re less likely to be wearing long skirts and fashionable little hats, but 100 years after the Summerland Ornamental Gardens were first created, people still come to picnic on the tree-studded lawns surrounding the historic Superintendent’s House at the federal Summerland research centre. 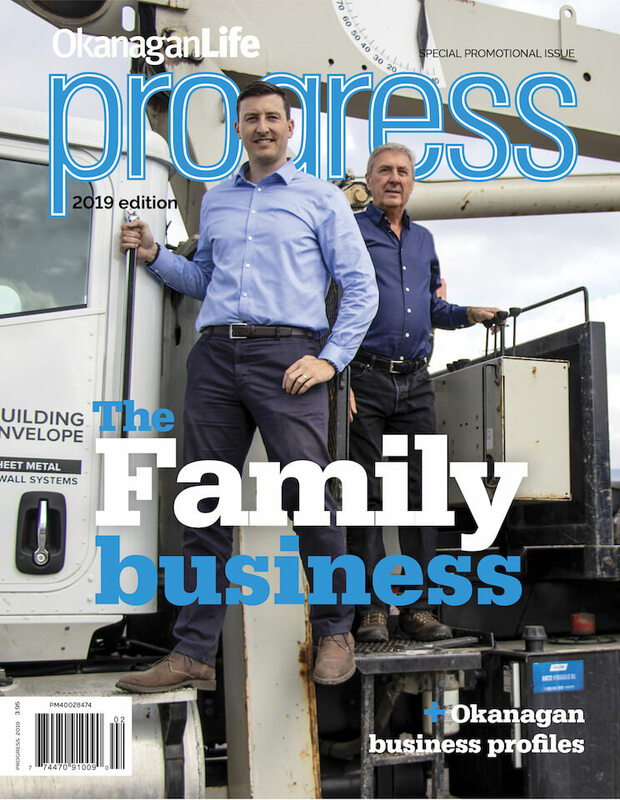 High fashion may have changed, but colourful flower beds remain an attraction, whether you’re just looking for peace amid bright surroundings, or you’re interested in learning more about plants. In 1916 it was decided that the Agriculture Canada research station, then two years old, should look into what plants could be grown in the west to soften and beautify the landscape, and import a little “English” countryside for nostalgic settlers. A demonstration garden was laid out by staff, complete with trees and shrubs—some of which are still growing today. They provide a gracious setting and welcome bit of shade for modern visitors to the public gardens, which now comprise a total of six hectares. More than 135 different species of mature ornamental trees and shrubs now thrive throughout the gardens. Initially, roses and hollyhocks, dahlias, lavender and snapdragons—English country garden flowers—were the plants of choice, but over the years, there’s been a variety of ornamentals both bred and tested in the gardens, which are open to the public year-round. As the focus at what is now called the Summerland Research and Development Centre moved away from ornamental horticulture toward commercial fruits and vegetables, the gardens received less attention, and in the 1980s funding for maintenance was cut and they languished for the next decade. 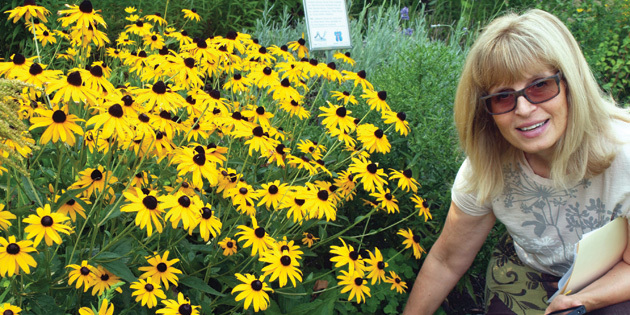 In 1991, a Friends of the Gardens (FOG) volunteer group was formed, made up largely of active and retired research scientists and their families, and they began renovating weed-choked perennial borders and replanting those that were beyond help. Eva Antonijevic is now community program director for the gardens, and explains they partnered with the government to maintain the gardens and begin restoration, as well as fund-raising. Two seasonal gardeners are also employed by the group, and a garden manager is employed by the research centre, committed to two-thirds time for the ornamental gardens. FOG celebrates its 25th anniversary this year, as it continues its mandate to maintain, enhance and conserve the historic gardens. In the beginning Brian Stretch spearheaded the efforts of the FOG, and his lasting legacy is the xeriscape garden he created, which is a focus of visitor interest today, as people take the valley’s dry climate seriously and realize water conservation is vital in landscapes. 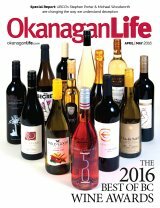 Today there’s a move away from transplanting the culture of another country to the Okanagan Valley, and instead there’s a return to a more sustainable landscape which consumes less water. It includes indigenous plants that add colour to the parched natural hillsides. Where more water is required, there’s an effort to ensure it’s used as efficiently as possible, to provide the maximum in garden interest with a minimum of resources. Historically, thousands of annuals were grown in greenhouses on the property, says Antonijevic, so they could be used to create massed beds of vivid colour, but today, the emphasis is turning to perennials, to reduce both the cost and the water use in the gardens. It’s an Okanagan tradition: thousands of families from all over the Valley would gather on the lawn of the Superintendent’s House for a day of picnics and music, enjoying the gardens and learning about different varieties that could be grown here. Families still picnic on the grounds today. Harkening back to former days, FOG volunteers are organizing an event called 100 Seasons in the Sun, to celebrate the centennial July 16 and 17, with tours of the 1927 Superintendent’s House, where botanical illustrations will be on exhibit; as well as tours of the different gardens, including the xeriscape gardens, the welcome garden, crescent garden, rain garden, new west border, Make Water Work Gardens, the historic trees in the gardens and highlights of the gardens with knowledgeable tour guides. Artisans, artists, performers, food producers and vendors, chefs and community groups will add to the excitement of the weekend. Heritage arts and crafts, including a “sheep-to-shawl” demonstration, quilting, rug-hooking and pottery, as well as apple box art and a beekeeping educational display will keep visitors entertained. Activities for the younger set will include an opportunity for them to pot up seedlings in the potting shed to take home and care for. You’re also invited to go to the website to donate or join the FOG to support their efforts to continue to keep this Valley attraction a showpiece for visitors and residents alike. This freelance writer specializes in outdoors, agricultural and environmental writing, celebrating more than 40 years with pen in hand. 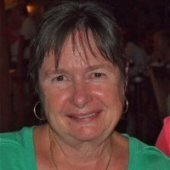 Judie has worked in newspapers throughout B.C.